Why learn Spanish and why in particular, should you learn the variety of Spanish spoken in Latin America? Native speakers in Latin America outnumber the native speakers in Spain by around 10 to 1 but that's not the only reason. Our advice is to focus on the target Spanish of your destination country and learn it well. That will help with 90% of all the other dialects. I'd go as far as saying that all variations of Spanish in South America and Central America are more closely related than each other than to the original language of Spain. 11 Where are the opportunities? Spanish is the world’s 2nd language based on first-language speakers. It comes after Chinese and before English. The US has more Spanish speakers than Spain. Apart from Venezuela, the economies of all other Latin American Spanish speaking nations are expected to grow in 2019. As developing nations there are opportunities for people with experience in established markets. China has pledged to invest $250 Billion in Latin American investments over the next ten years. Spanish is one of the most phonetic languages. It’s much easier to read and speak Spanish once you understand how each letter is pronounced. There are some exceptions of course but compared to English there are very few complications. Learning Spanish will make it easier to learn French, Portuguese, Italian, and even Latin. Many jobs offer better opportunities for speakers of Spanish as a second language. International trade, tourism, medicine, health care, education, and advertising are all sectors that are increasingly offering jobs with Spanish language requirements. This is especially true in the United States. Learn a language and boost your career prospects. With the ability to converse with people in 20 countries in Latin America, the opportunities for a better travel experience are endless. Latin American Spanish, being the 2nd language of the US will also enable better communication in certain areas of that country also. 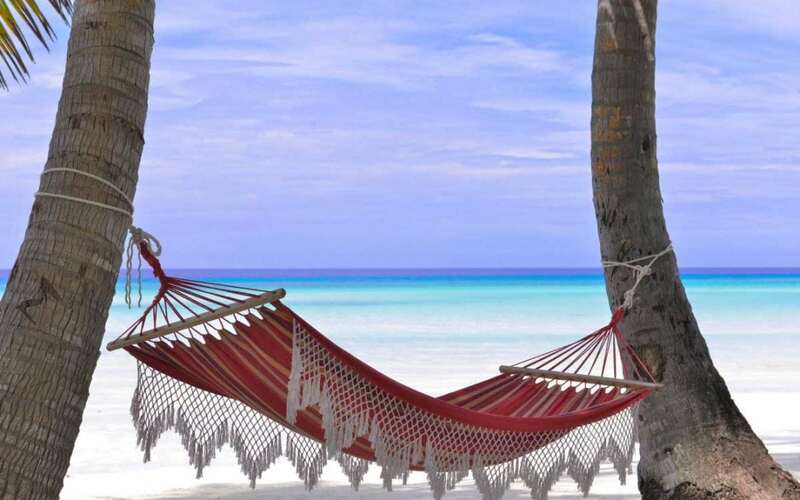 Learning Spanish will completely transform your travel experience. 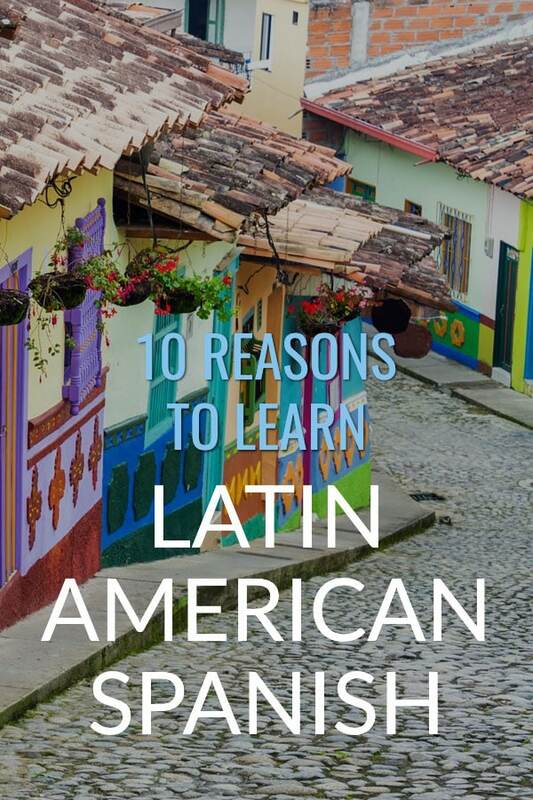 Learning Latin American Spanish will allow you to appreciate and understand, in the original languages, the works of Gabriel García Marquez, Jorge Luis Borges, the music of popular artists such as Marc Anthony, Celia Cruz, Santana, Shakira, and Juan Luis Guerra. Spanish is a rich and colourful language with plenty of history. As one of the most widely spoken languages in the world Spanish skills can positively impact your life in many ways. It is the fastest-growing language in the United States and the second most widely spoken. As Spanish continues its upward trend many non-native speakers have found opportunities in life and business by learning the language. Some wish to travel, others to understand Spanish or Latin American pop culture, and others to advance their career. Many employers in the US and Europe already look for people who speak Spanish and English. China and other countries not traditionally proactive in educating their workforce in Spanish are also taking note. To stay ahead of the competitive curve in the job market, learning Spanish can propel you to a position that may not have existed even five years ago. If you want to increase your marketability, here is why you should consider learning Spanish. Despite California’s Proposition 227 which states that only English be taught in schools, Spanish is alive and well in California, the world's 6th biggest economy. When employers look for people, they are reluctant to hire candidates who only speak one language. As Spanish continues to grow within the United States, those who are monolingual may end up experiencing difficulties finding work in many job sectors. In a 2013 survey, high-level managers and executives were asked by Strategy + Business if language skills were important to the hiring process. A whopping 96 percent said it was “very important” or “somewhat important”. If you work in the public sector in the US and in many large European cities, chances are you are going to work with people who communicate entirely in Spanish. Being able to communicate with them can resolve issues quickly and effectively. Nearly 13 percent of American citizens speak Spanish at home, according to the U.S. census. Bridging the gap directly between a doctor and a patient can increase the odds of finding solutions and reaching satisfactory conclusions. This cuts down on miscommunication errors, allowing the doctor to make the proper diagnosis early. There are roughly 350 million people who speak Spanish as a first language. In America, Hispanic consumers have become the fastest-growing market segment, and more and more products are aimed at the Hispanic audience. Not only is this good for business practices in the US, it gives one the opportunity to tackle business deals in other parts of the world. Imagine going to a Spanish-speaking country and closing an important business deal that would help the community and the company. The business world is starting to get smaller, and knowing how to speak Spanish will create better business opportunities. Spanish is growing at an exponential rate, and by 2050, it could make the United States the world’s largest Spanish-speaking country. This melting pot within the United States means that it will be a part of daily life. Any transaction you want to make will require knowing a little bit of Spanish to complete a simple transaction. The daily learning curve of speaking to a store clerk, or finding your way around will require knowing enough to get around. Getting a head start on learning Spanish will keep you ahead of the learning curve, and you may create great relationships with everyone you meet. When a large percentage of business is conducted in Spanish, the people that use the language in their day to day activities will have incredible career advantages over the ones that don't. People that have learned a second language experienced the added benefit of their cognitive functions declining less rapidly as they age. Learning a second language is like a tonic for your brain. It keeps your mind sharp, even in areas that don’t have anything to do with language skills. The University of Ghent in Belgium conducted a study that showed Alzheimer’s can be postponed by learning a new language. It can postpone the symptoms of dementia, as well. Keeping your mind sharp and on track will help you keep on top of a fast-changing business world. The world changes fast. Businesses come and go more rapidly these days. Most businesses won't last past 10 years. Those without the ability to learn fast will be left behind. It assists in helping your mind work properly, even as you grow older. Understanding how learning Spanish can drastically affect your life daily, it’s important to understand the impact it can have on an entrepreneur. Though it is easier than ever to connect with clients in other countries, learning Spanish can help an entrepreneur achieve success. Working with Latin American and Spanish business partners becomes easier when you know how to speak their language. Knowing a second language and promoting it in your business can help nurture communications with consumers that communicate in their words. This is true for any language but Spanish, being fast growing on a worldwide scale, is mingling faster with English usage at a very rapid pace. Learning Spanish can open doors being monolingual cannot do. Whether it’s tracking down a new client or speaking with consumers, learning Spanish will give you the insight you need. You can peek into their culture and become more understanding about their lives. An entrepreneur has a lot to gain by learning Spanish, including foreign markets and workforces. It creates a more personal and bonding experience between a native language Spanish-speaker and an entrepreneur attempting to make a connection. Humans love communication, and knowing how to speak Spanish can help garner respect and sprout genuine relationships. Learning Spanish allows an entrepreneur to be more creative. They can understand a culture better, and communicate better. Not only that, but they can work both sides of the language barrier. New ideas on how to bring bilingual products into the world are on the rise, and learning Spanish is an excellent market for focus. If you know a product won’t work in one market, you have the option of pitching it to another market. This allows creativity to flow and opens new doors that aren’t available to monolingual persons. The most obvious way is to get a job that requires Spanish. If you live in the United States then you have a lot of opportunities. Obviously, with the large Hispanic community, there is a lot of competition so you'll need to find a job that suits your skills levels. Always play to your strengths as a native English speaker with Spanish, plus your other skills. A quick search on Indeed.com brings up thousands of jobs requiring Spanish. For more information on the trend of Spanish in the marketplace check out Indeed's trends graph. Earn money as a teacher on Italki. If your Spanish is not at a level where you could teach, then why not teach in your own language to Spanish speakers at a beginner level in your native tongue. 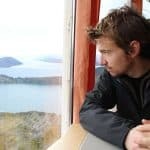 If you plan on teaching English to beginners, for example, many Spanish speakers will not be comfortable communicating in English from the start and will be unable to voice their concerns or ask questions. Having a higher level of Spanish than their English will give you an advantage over the monolingual teachers on the site. Use your language skills with something else to sell small gigs on Fiverr. You can literally offer any type of service. So if you're a graphic designer or a website guru you could combine these skills with your Spanish language ability. Knowing regional Spanish (Colombian, Argentinian, Peruvian, etc) can also be a help if you are helping translate a localized site. Merely having the ability to understand a website's message in another language is a great skill to have. For WordPress specialist, working on the WordPress admin of a Spanish site is much easier if you have the vocabulary skills. That's a whole market niche right there. 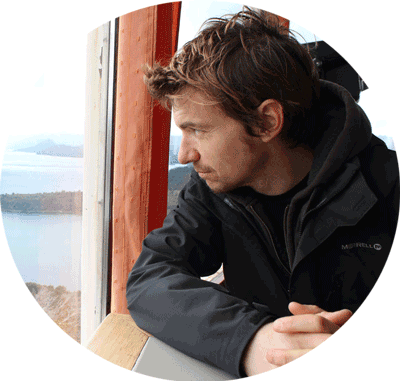 Take your language ability over to Upwork and put yourself forward as a translator, writer, website builder with Spanish, or whatever you feel you can offer. Start off at a low rate to get some good feedback. Once your feedback score goes up you can then start charging more. Really experienced freelancers with lots of happy clients can demand high rates in all areas. $100/USD per hour is not uncommon. As the saying goes “There are riches in the niches”. Try to niche down on something that you are unique in, but obviously, make it in an area with some demand. Teach English to business workers in cities like Santiago de Chile, Buenos Aires, and Mexico City. Use your Spanish skills to find the jobs, talk your way past receptionists and gatekeepers, and get directly to the hiring manager or CEO. Doors will open much wider for a Spanish speaker who has an English teaching qualification, than a non-Spanish speaker. Being multilingual is a crucial skill to have in today’s world. Technology has advanced to the point where we can conduct business without leaving our homes. While the U.S. has plenty of Spanish-speaking people, the number of multilingual speakers is staggering. 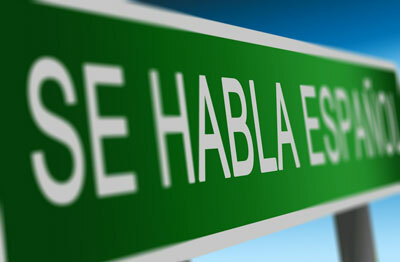 To increase production and generate more trust in the world of business, many people can benefit from learning Spanish. It can advance careers, build relationships, and put us all on the path to understanding one another. Interested in learning more about Peruvian Spanish? Read my guide to language hacking and language apps for travel. Want to get started right away with the method I used to learn Spanish (before I even got to a Spanish speaking country)? Try Pimsleur with a 25% discount. 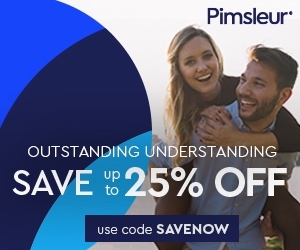 👉 Save up to 25% on Pimsleur plus Free Shipping! Use code SAVENOW at checkout. Another reason would be for the ability to listen to the crazy football commentators in their own language. That would be hilarious. When are things starting up? How much? We’re aiming for 1 July 2016 start. Pricing is still to be decided. We’re surveying potential clients to find out what kind of payment options are preferred. Would you prefer a subscription model (all access + extras for a monthly/yearly fee) or a price-per-PDF model?